Alain Resnais’ Last Year at Marienbad has been described as illusive, mystifying and perplexing. It deals with the nature of memory and the reliability of remembrance and the passage of time. Resnais presented this understanding as an interaction between memory and emotion. Time, as presented by Resnais in the film is simply a method by which we experience an emotional state of being. Through the use of disorienting flashbacks and red-herrings (which confuse the audience, but could be said to be used as a sort of time-space for experimentation of the emotional confluence of experience), Resnais seeks to realize the notion that we are entangled with our past and that our personal histories, though they might be lost to us are inextricably linked to our personal experiences and emotions. It is in this sense that Resnais’ film seeks to at once comfort us that our histories are at play in defining our experiences and that the truth of our existence exists within us. Stan Brakhage, an experimental filmmaker, poet and artist created a series of short films that were ultimately compiled into a feature length exploration of the human psyche, sense of perception and experience. 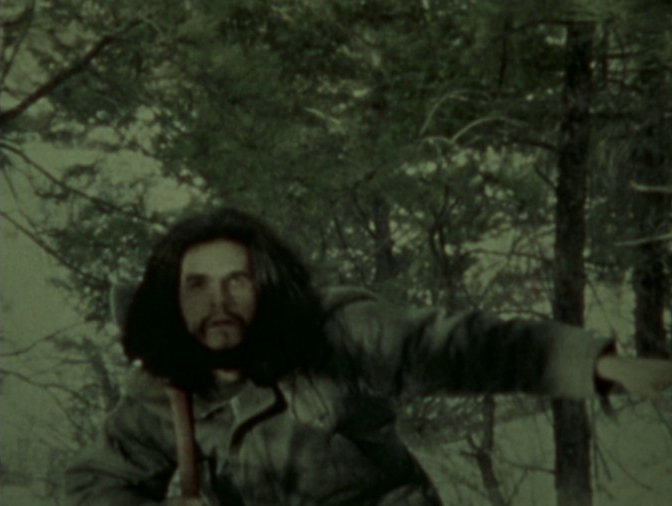 Dog Star Man which was shot and produced between 1961-1964 uses surreal and experimental techniques to relate the experience of man and his dog to the communal experience of humanity. This is congruent to Benjamin’s thoughts on the history of perception and the idea that certain symbolism is inherently linked to the human condition, that relation imagery is inherent to the narrative structure of society. In a sense, Brakhage’s use of not only a set of images that are obvious (such as the relationship between man and nature), but also the imagery that he created by scratching, dyeing and superimposing on top of each other reach into the viewer’s mind as a set of archaic dream-like symbols which serve to centralize the nuance of human connection and intercultural connection. 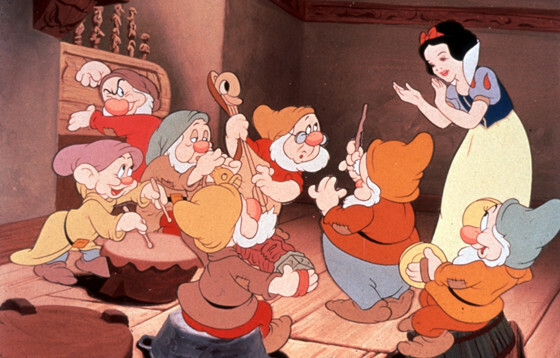 Walt Disney’s Snow White and the Seven Dwarfs might seem like an odd relation to the ideas of Walter Benjamin, however, Benjamin himself was enamoured by fairy tales, calling them “the first tutor of mankind”. Disney presents the film with flourish, with even the formalistic qualities of animation becoming part of the nature of the fairy tale as a sort of surreal exploration of humanity’s nature as animated beings (in mythic terms, humans were animated unlike the earth, terrain, etc.). It’s through the magic of the moving image that Disney re-interprets the myths that had been devised in order to tutor humanity toward a what Benjamin said was the aid of the fairy tale as “the fairy tale tells us of the earliest arrangements that mankind made to shake off the nightmare which myth had placed upon its chest.”. Where Disney presents a modernist interpretation of these age old myths is where the ideas of Benjamin integrate themselves; the mythic becomes the relatable, and when these ideas become relatable, they infuse themselves into the cultural consciousness of a society and are reborn as figures of societal symbology. That’s the real magic of Disney. 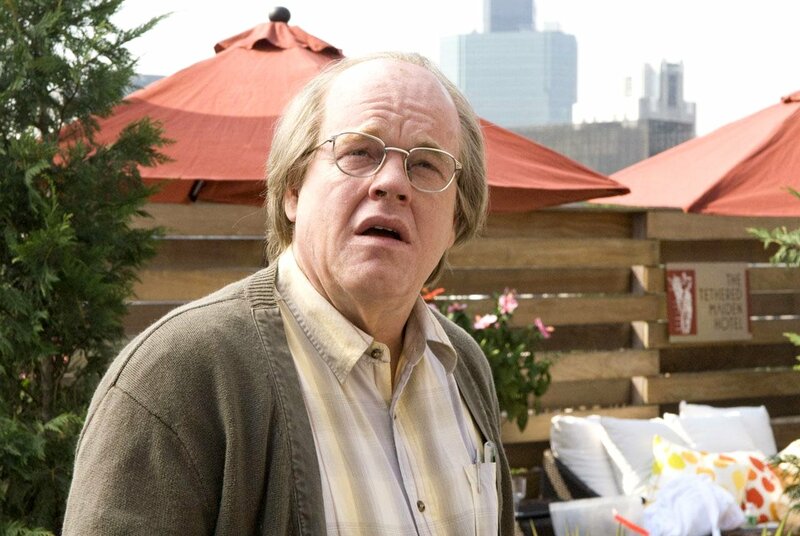 Charlie Kaufman’s Synecdoche, New York concerns itself with the life of playwright and director, Caden Cotard (Phillip Seymour Hoffman), a successful but neurotic and lost man. Over the course of the film we see Caden attempt to recapture moments of his life through art, albeit in a way that is true to the reality of the events. This leads him to construct a massive facsimile of New York in order to re-enact the moments of his life with a near-verisimilitude of authenticity. Benjamin’s insistence that thought is measured not only by its flow but also the arrest of thought is at play throughout the film, as we see Caden’s neuroticism grow due to his uncompromising need for authenticity in art. It is perhaps this requirement for authenticity by Caden that proves his lack of completion of the monolithic project that becomes his obsession. In his search for the authentic through the simulation of the real (possible his attempt to restrict or capture the very breath of life), Caden encounters impasse after impasse that further moves him toward delusion. 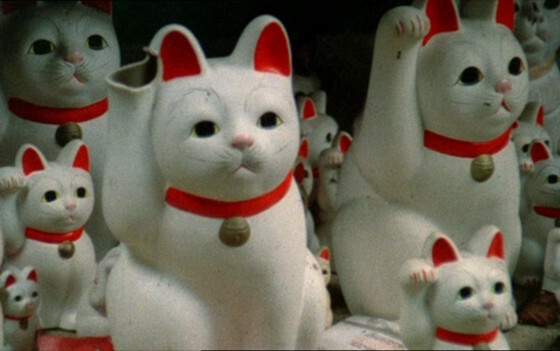 Chris Marker’s Sans Soleil directly relates itself toward the nature of memory and how we sometimes lack the ability to connect the context and feelings of our memories to each other. In essence, they both acknowledge that the only constant in human understanding is that time will pass and that our interaction and understanding of place and time is what allows us to perceive the depths of our consciousness and our being. Author Bio: Alan is a writer, musician and composer from Calgary, Canada. His short fiction has been previously published in L’Allure des Mots out of Miami FL. His music can be found on Spotify and iTunes.